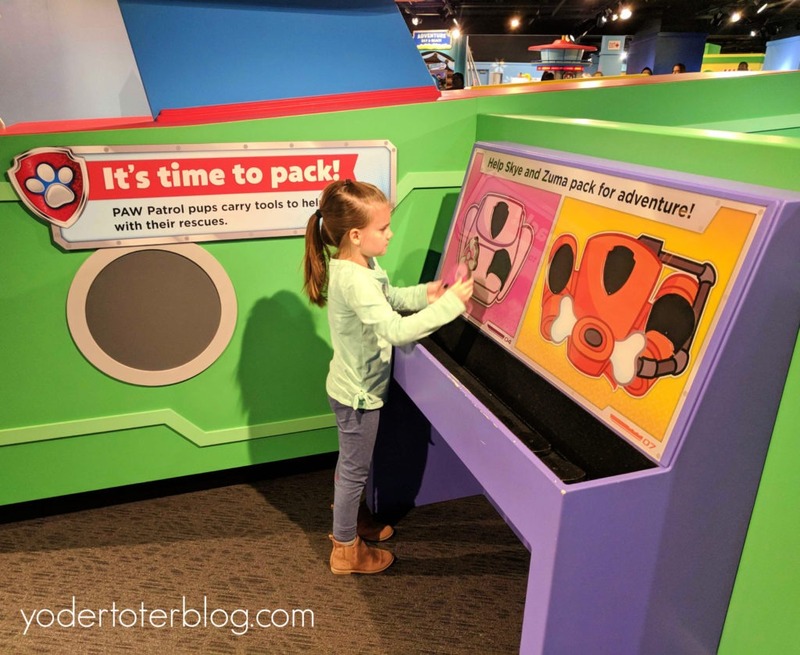 Indianapolis is home to the world’s largest children’s museum! At nearly 500,000 square feet in size, the Children’s Museum of Indianapolis hosts 1.25 million visitors each year! It’s easy to see why the museum is so popular with families. 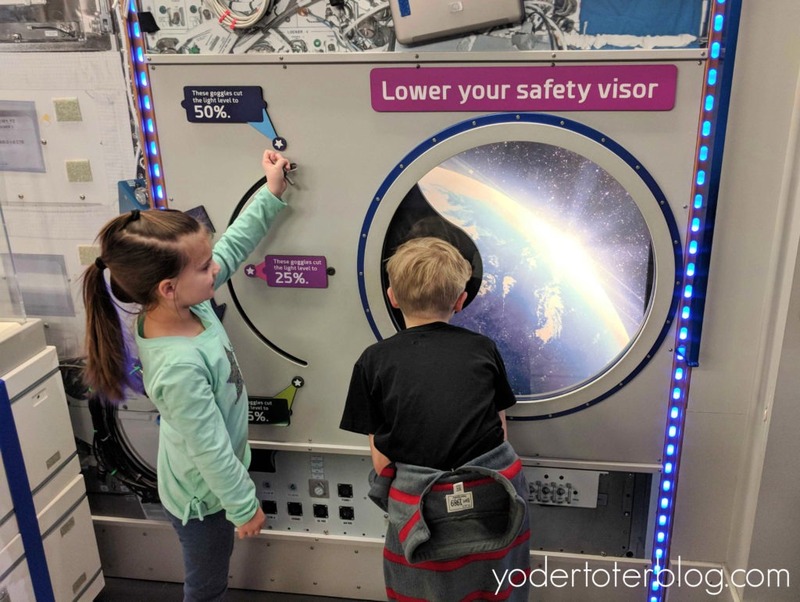 This isn’t your typical children’s museum- it’s an inter-generational learning environment that caters to everyone from the very young to the very old. The museum is HUGE, which makes it impossible to see in one day, and they average 6 new exhibits every year! Your family could visit time and time again and still have a new experience! 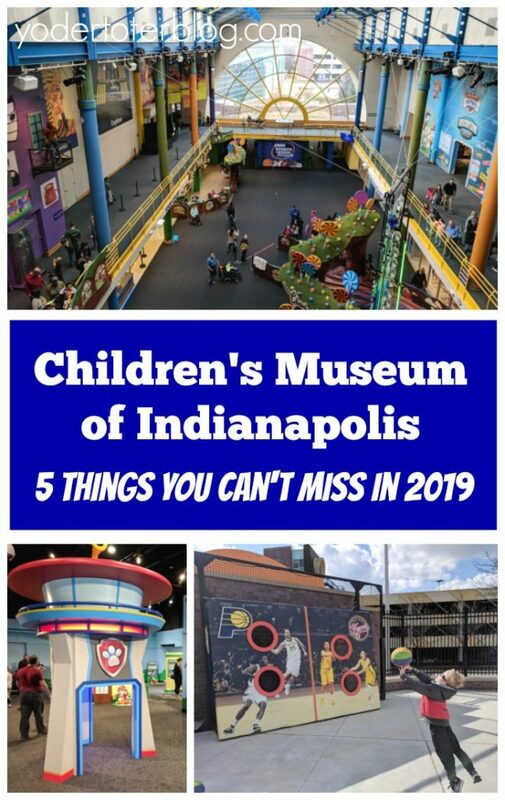 Without further ado, here are what I believe to be Five Can’t-Miss Experiences for those spending their first time at the Children’s Museum of Indianapolis in 2019. The Children’s Museum of Indianapolis is home to one of the largest displays of real dinosaur fossils in the United States! 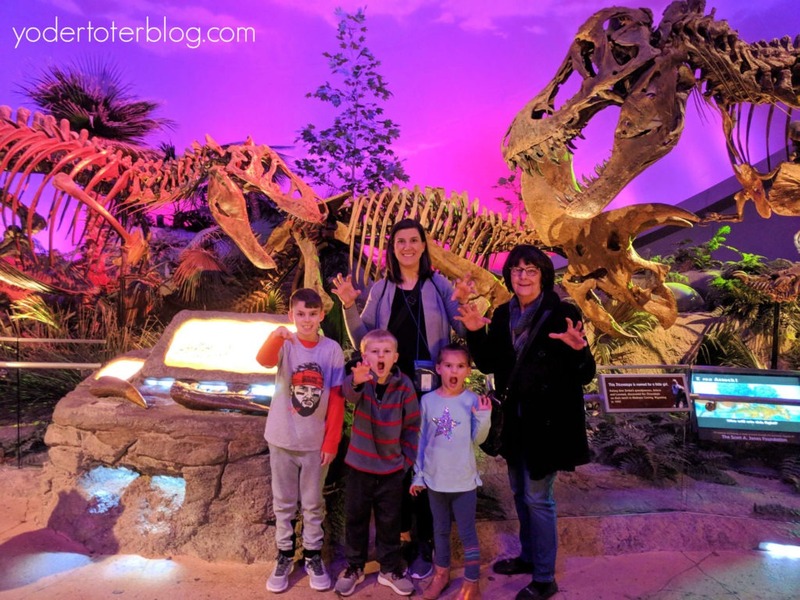 What I appreciated about Dinosphere was that kids aren’t expected to look at dinosaur bones and move on, there are plenty of opportunities for them to touch and feel their way throughout the exhibit! 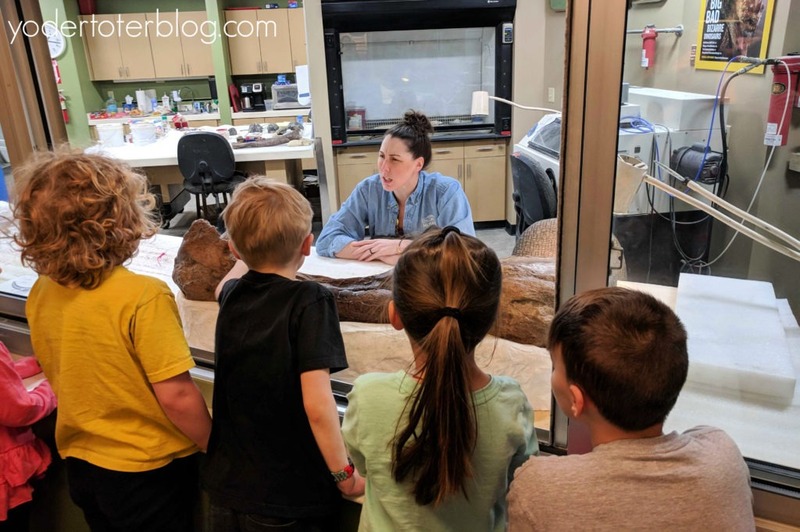 TCM has an on-site paleontologist, so children and their families can ask any pertinent questions! The day we visited, a T-Rex femur bone was at the paleontologist window for inspection. In even more exciting news, The Children’s Museum just announced a 27.5 million dollar project to excavate a fossil-rich area in northern Wyoming. This project, known as Mission Jurassic, will use scientists from around the world to tell a more complete story of the Jurassic World. 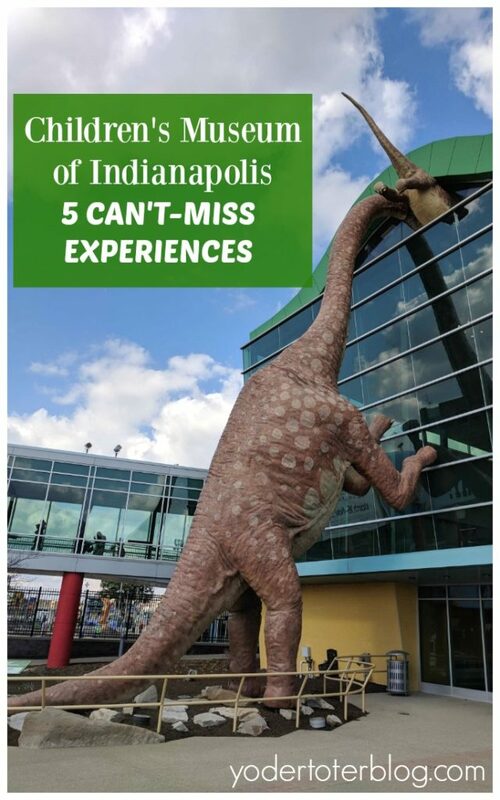 If your children are interested in dinosaurs- make sure you visit The Children’s Museum of Indianapolis! And what’s even better is that in the next few years, there will be much, much more to add to this exhibit. Beyond Spaceship Earth has something for ages 2-92! At 9, 7, and 5, my kids are just a bit old for all of the PAW Patrol hysteria! 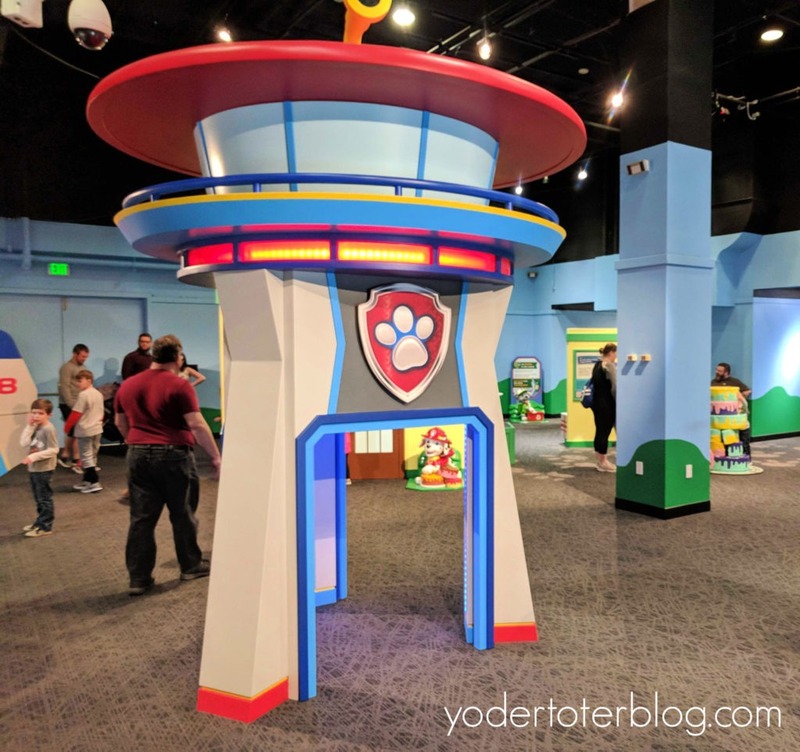 However, if you have toddlers and preschoolers, I know they are going to be chomping at the bit to visit the PAW Patrol exhibit! Children learn by climbing aboard the Sea or Land Patroller and rescuing baby seagulls or a trapped snowboarder! Everything is very baby-friendly- so I think ages 18 months and up would be happy here! Hurry – this exhibit ends July 28, 2019. 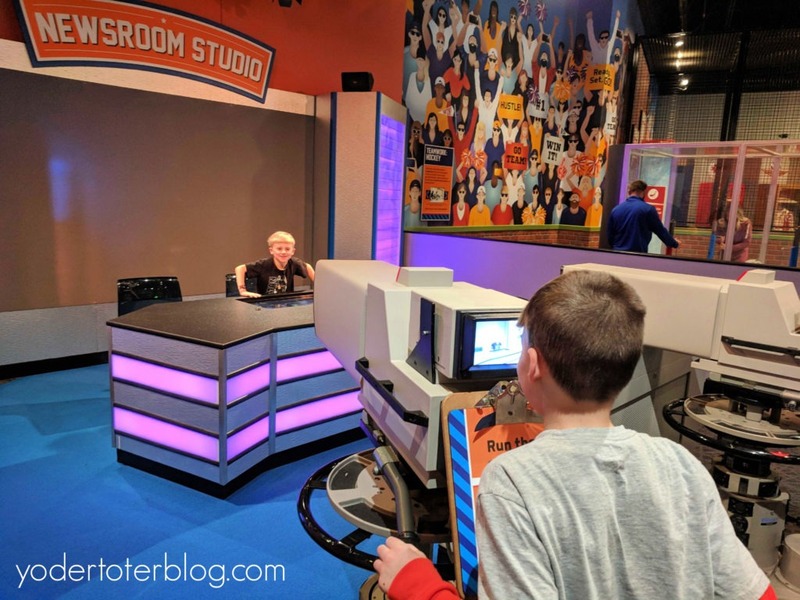 If there was an exhibit that took the cake for our busy 9 and 7-year-old boys, it was the Riley Children’s Health Sports Legends Experience! 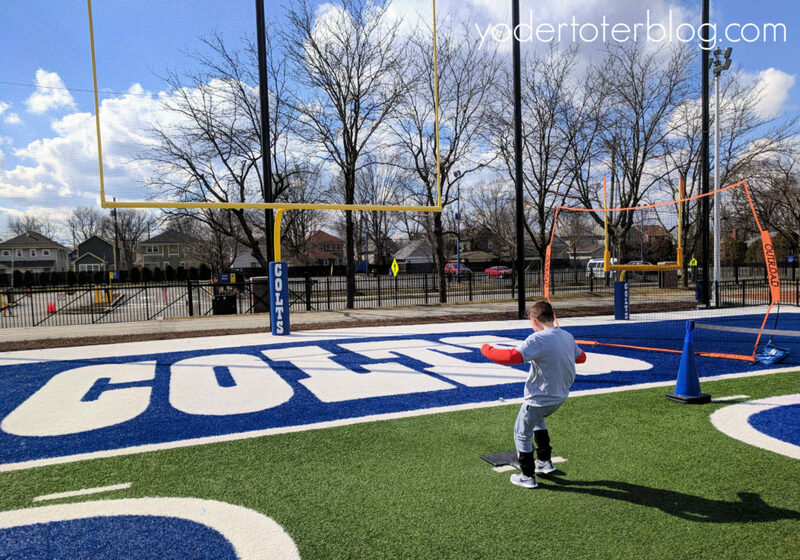 This outdoor wonderland contains over 7 acres of sports! From drag racing to basketball, baseball, and hockey – most Indiana’s popular sports are covered. 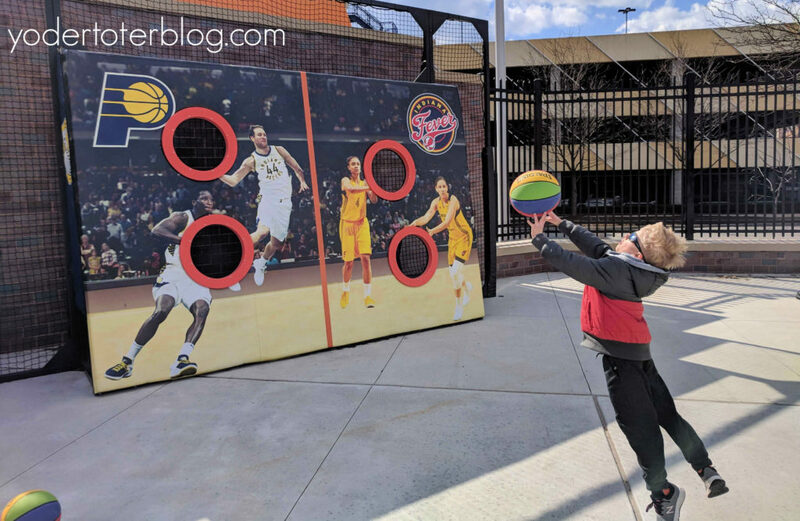 Shoot some hoops on Indiana Pacer’s themed courts, then walk over to the Indianapolis Colts field and practice your field goal form! For those children who don’t love playing sports, they can climb and explore the Fantasy Tree House of Sports. Everything you can think to play is included in the price of admission! One of the greatest value-added attractions was The Pete and Alice Dye Golf Experience. 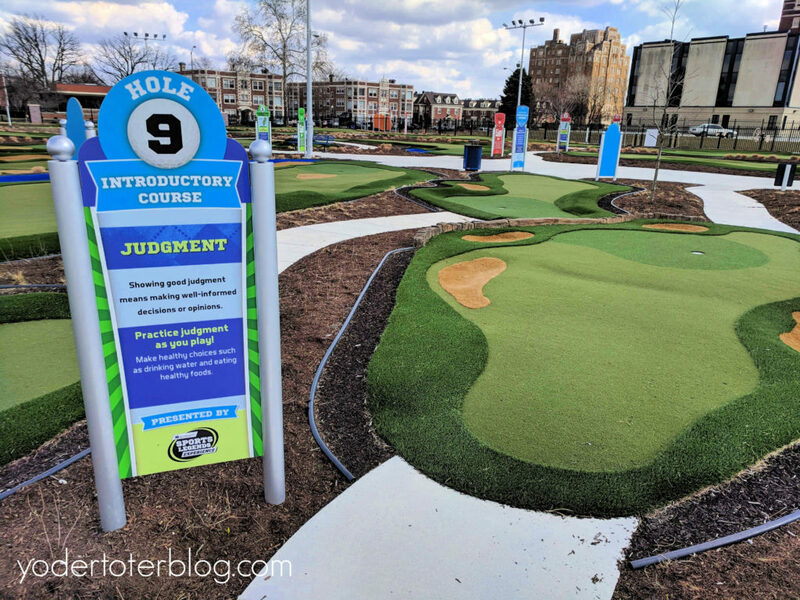 Players pick from one of four courses – the Toddler Course, Introductory Course, or Signature Courses A & B. Balls and clubs are provided (balls are like a mini-tennis ball and clubs are also plastic – no one is losing an eye here)! In 2019, the outdoor Sports Legends Experience is only open until November 3rd! If you’re visiting on a day with bad or cold weather, the indoor World of Sports is also a fun place for your little athlete (and Mom & Dad). Here you can practice your sports reporting, shoot hoops, race Matchbox cars, and even attempt some rowing. In summer months, you can purchase an evening ticket just for the outdoor section! I think we’ll be doing this soon! Pop culture is so ingrained in American lives that we may not even realize! It was fun to show our children a bit of Americana! They enjoyed finding the toys correlating to their favorite movie and TV stars – i.e. ALF and E.T! I enjoyed seeing the Cabbage Patch dolls and Star Wars toys that I played with as a kid! Our daughter spent some time creating fashion on Barbie-sized mannequins. 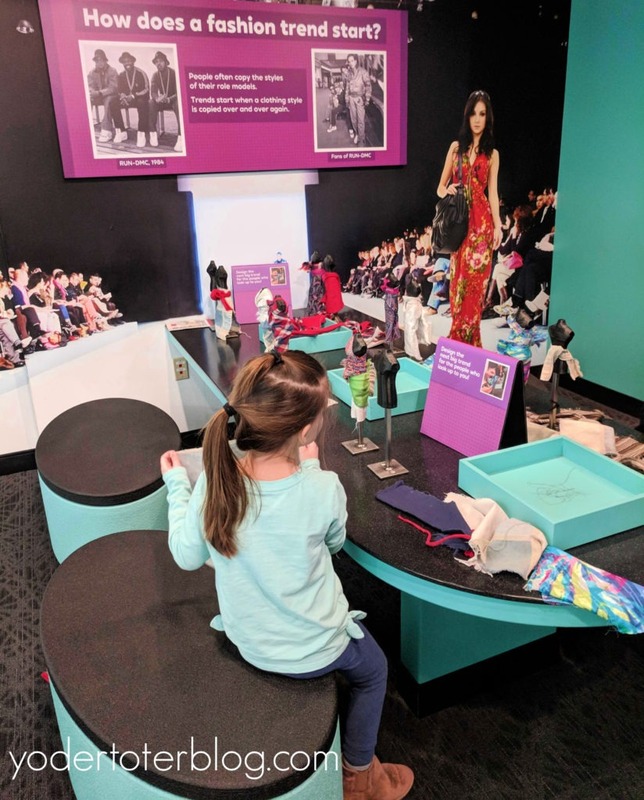 A display case of shoes and accessories shows children (and offers a bit of nostalgia for Mom & Dad), of the way our styles have changed over the last few decades. Parking is free! If possible, park on the 2nd level so you can avoid the stairs or elevator. The skybridge to the museum is on Level 2. Wear comfortable clothing and bring a refillable water bottle & a packed lunch! There are water fountains and picnic tables available for visitors! Homeschoolers – if you want your education to continue after you return home, check out the Museum’s Unit Studies. These lessons for grades K-9 cover everything from physical fitness to discrimination and determination. Before visiting, you may think The Children’s Museum tickets seem a bit pricey. If you know you will visit more than one time in the next twelve months, membership will likely be the better deal! If not, discount tickets can be purchased online – you save more if you book more than 2 weeks in advance! Check the TCM website for more details. Yes, you can sleep in a train car that’s INSIDE of a hotel!